With just 24 shopping days before Christmas, it’s that time again where we all rattle our brains to think of something that’s either unique or useful to our family and friends. 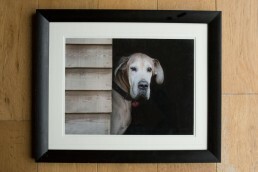 During an hour long session on your favourite walk, Katrina will capture your pet’s personality which can then be printed in a variety of bespoke products to be proudly displayed in your home. 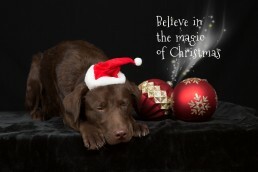 Sessions start at £75 – gift vouchers available in any denomination. 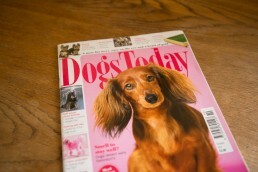 Treat your best friend to a luxurious pamper session, where they will be spoilt with luxury treatments like a deep cleansing hydro massage bath, a relaxing Southbark blueberry facial, fluff dry and complete groom out, de-shedding treatment, and a pedicure – just some of the many treatments on offer at Hollywood Dogs in Biggleswade, Bedfordshire. 3. 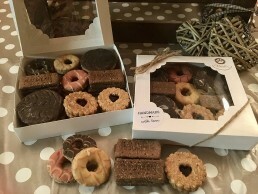 Tasty, natural dog cakes and treats your dog will adore! 10/10 dogs keep coming back for more of these homemade biscuits and treats – check out the Pupcakes! 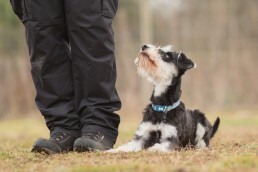 Dogzaloud Canine Training and Behavioural Centre in Bedfordshire specialise in training dogs in a fun way – with the emphasis on FUN! Both you and your dog will build a unique bond, using positive reinforcement to encourage and reward good behaviours. 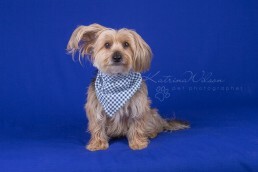 1:1 sessions are available as well as regular dog training and fun dog activities. 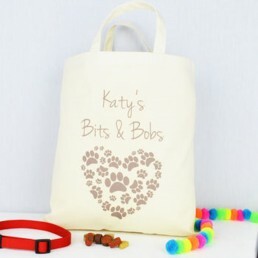 Natural cotton canvas bag – ideal for taking to doggy daycare! For quality bandanas, ties, dribble bibs, coats and fleeces – can be embroidered too with names or phrases! 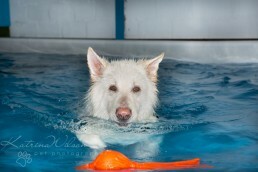 8. a dog swim session in a Canine swimming pool – what could be more unique! Book a swim session for your dog (and you!) in the brand new Canine Aqua Centre based on the Bedfordshire/Buckinghamshire border – close to the M1. 1:1 sessions available for golden oldies, puppies, intro swims – or get together with friends and book a splash party for up to 5 dogs! 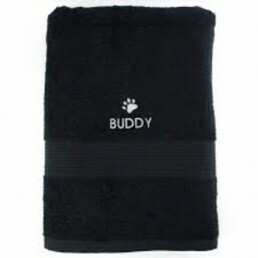 Embroidered with your pets name and a pawprint. 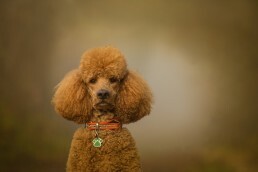 Luxurious dog collars and matching leads for the fashionable dog on the street.